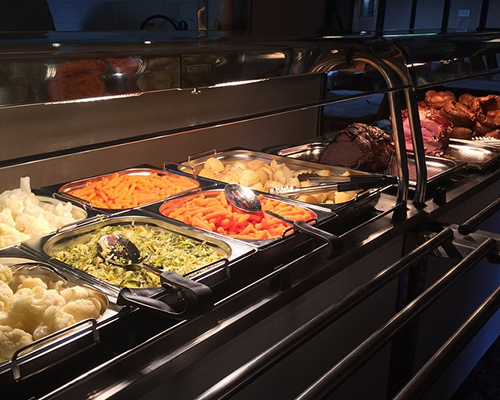 At the Bax Castle we are delighted to host our famous carvery every Sunday. We pride our roast with all local produce, offering a choice of three meats, homemade Yorkshire puddings, with unlimited helpings of roast potatoes, seasonal vegetables and gravy. 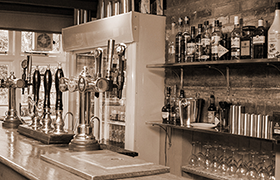 We advise you and your party to contact us to book a table in advance to avoid disappointment. Served with homemade red onion jam and sliced ciabatta. Prawns in a Marie Rose sauce with sliced ciabatta. Sliced halloumi on a bed of friarielli broccoli with a balsamic glaze. Vegetarian soup served with sliced ciabatta. Golden breaded brie wedges served with homemade red onion jam. Whole whitebait in crispy breadcrumbs served with salad and tartare sauce. Tail on king prawns in crispy breadcrumbs served with salad and sweet chilli dip. Roast carvery serving locally sourced beef (medium), gammon and turkey with roast potatoes, homemade Yorkshire puddings and unlimited top ups of fresh seasonal vegetables and gravy. A vegetarian option is also available on request. 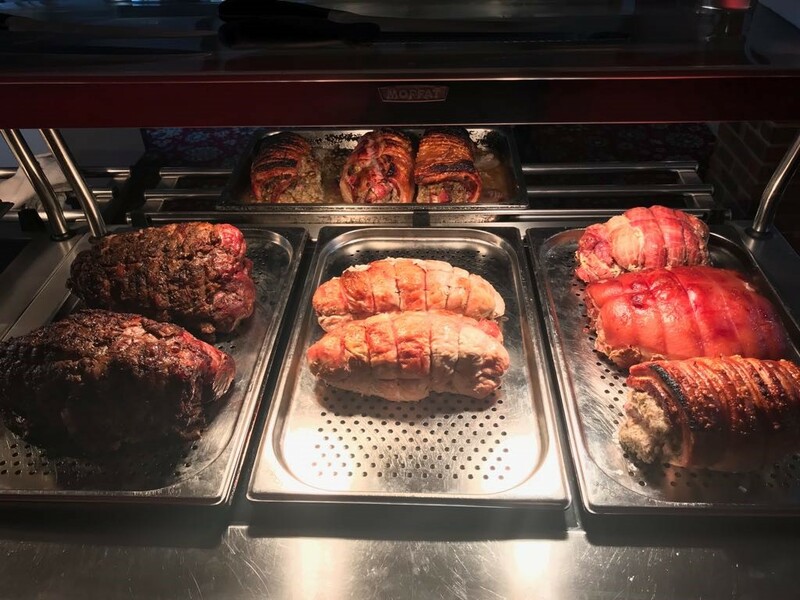 Please note that our carvery is buffet style, while all other dishes from the menu are cooked fresh to order, so will be subject to waiting times. Served with tortilla crisps and homemade coleslaw. Lettuce and tartare sauce, served with tortilla crisps and homemade coleslaw. Tuna, mayonnaise and lettuce, served with tortilla crisps and homemade coleslaw. Upgrade: Add chunky chips for an additional £1. Tomato sauce, mozzarella, spicy beef, chorizo, jalapeños and chillies. Tomato sauce, mozzarella, goats cheese, onions and Italian broccoli. Tomato sauce, mozzarella, freshly sliced tomato & green pesto. BBQ sauce, mozzarella, spicy beef, ham and mushroom. Tomato sauce, mozzarella, ham, chorizo, beef and red onion. Tomato sauce, shredded hoisin duck & spring onion. Tomato sauce, mozzarella, ham, pineapple and mushroom. Tomato sauce, mozzarella, pepperoni and mushrooms. Tomato sauce, mozzarella, peppers, red onions and mushrooms. All our pizzas are available with a Gluten Free base! Cheddar, brie and blue cheese served with crackers and red onion jam. Ice Creams, choose from: Vanilla, Chocolate, Strawberry, Rum & Raisin, Toffee Crunch. Served with garden peas and chips. Brioche bun with lettuce & tomato. Served with chips and a side salad. Went to the Bax castle the other Sunday for roast with the family. 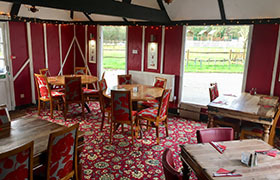 The food was excelllent and the atmosphere was very friendly and relaxing. First impression are very good. 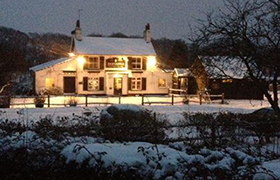 We went there over Christmas holidays for a pint of ale to see how it now looks. The ale was very good and the menu looks inviting. We will try the food next time. © 2013 - Bax Castle, Two Mile Ash Road, Horsham, West Sussex, RH13 0LA.